Looking for the perfect favour to give to your wedding guests… you need our match box favour boxes. 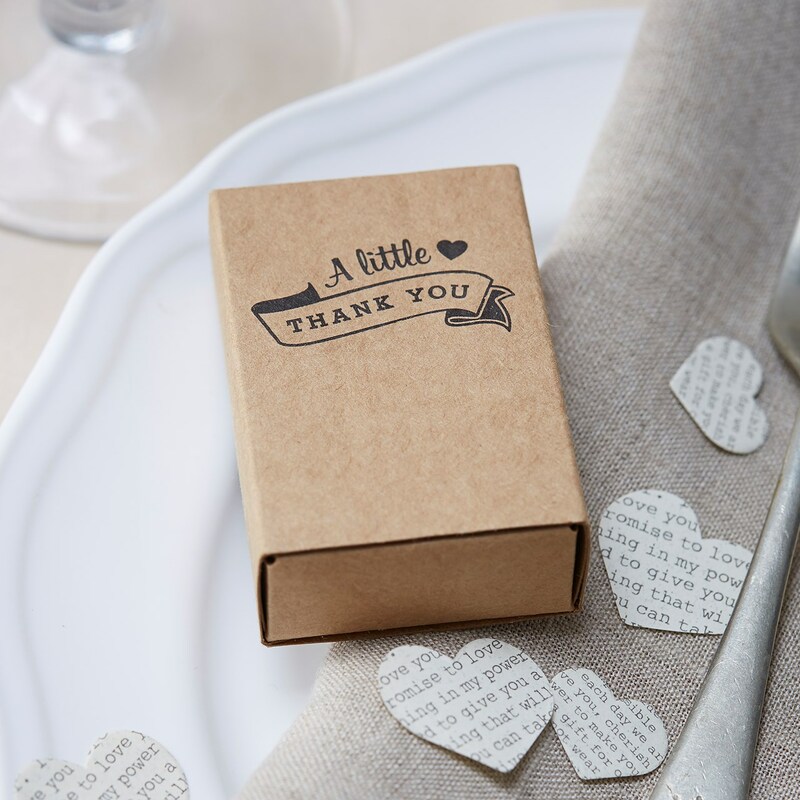 Each cute little box is printed with "A little thank you" in vintage writing. These are perfect for adding sweets, a lucky coin or chocolates for your wedding guests. 10 boxes per pack. 4.5cm W x 6.5cm H match boxes per pack.